Former Union Minister and Congress MP from Thiruvananthapuram Shashi Tharoor said he has spoken to the Committee Of Administrators Chief Vinod Rai against the KCA’s “bizarre” decision to transfer an ODI match from Thiruvananthapuram to Kochi, whose ground was used for the U-17 Football World Cup last time. 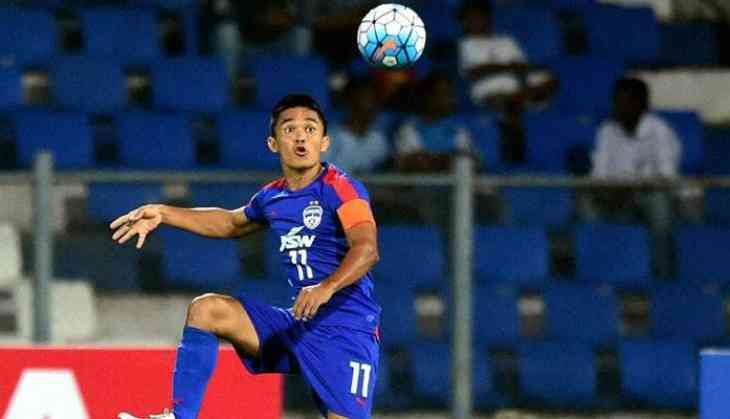 Ace Footballer and The captain of the Indian national football team Sunil Chhetri has now come forward to condemn KCA's decision that has been facing the criticism from the likes of Sachin Tendulkar and Sourav Ganguly. The recent anti-football decision of the Kochi Cricket Administration has drawn much criticism for its decision of dismantling the Jawaharlal Nehru Stadium that has hosted both cricket and football in the past but the stadium was revamped completely in view of U-17 FIFA football world cup. The football stadium is recognized as one of the only six stadiums in the country as FIFA approved standard football grounds. However, Sachin Tendulkar, the biggest Ambassador for cricket that India can have come up for football this time. Kochi Cricket Association put its hand on the wrong nerve when it allotted the Kochi's Jawaharlal Nehru Stadium for the cricket matches to be held between India and West Indies in November. Sachin also said that the change may damage the turf forever and it will take a lot get the ground back to its original position. Sachin Tendulkar who is also the owner of the football club Kerala blasters took it to Twitter to condemn KCA's decision to organize the cricket match between India and WI in the ground. Tendulkar found support from Sourav Ganguly, who is also the co-owner of the Kolkata-based ISL franchise Atletico de Kolkata.